The house is located on a land of about one hectare, completely fenced and closed by an electric gate. The house is distributed on a main floor that includes porch, outdoor area, entrance, kitchen, dining room-living room, and a staggered floor with 6 steps to access the bathrooms and bedrooms. All rooms have ceiling fan fans. The two main bedrooms, together with the kitchen / dining / living room area are equipped with air conditioning - heat pump and heating. The single room has a ceiling fan and a radiator. The double beds measure 160x190 cm while the singles are from 80x190 cm. The beds are equipped with linens, (clean sheets, pillowcases, duvets / blankets) that will be changed free once a week. In case of request for more frequent changes, an optional laundry fee is agreed. Guests are provided with a set of individual towels consisting of a terry cloth of about 100x60cm and a placemat 50x35cm. The use of soaps in single packs, ie liquid soaps with hand / face spout, shower and underwear, is included in the bath equipment. The kitchen is small but there is a bit of everything: microwave, dishwasher, fridge and freezer, long slice toaster, small and large moka, wooden and marble mortars for cocktails and sauces, platters, plates, dishes, glasses, saucepans and casseroles, minipimer, food processor, gas oven and 4-burner gas hob. Use of the kitchen is limited to breakfast. Other uses and requests will be previously agreed with the host. In the lounge there is also a small ventilated electric oven to heat breakfast in the morning. In the basement garage (with controlled access) there is also a washing machine which can be accessed by prior arrangement. There is a covered space in order to lay out a possible laundry. In the garden there are centenary olive trees and fruit trees of figs, apples, apricots, plums, cherries, strawberries, persimmons, pomegranates, strawberry trees, pears, hazelnuts, walnuts. The fruits are available for tasting according to season. Also available a decent variety of fresh spices, such as basil, rosemary, various types of sage and mint, thyme, marjoram, chives, cayenne peppers, always according to season. There are two acoustic guitars available for those who want to relax playing a bit. There is a 57 Weber barbecue for any grilling as well as the grills to be used on the internal fireplace, which can only be used after agreement with the host. Guests have access to the use of bedrooms, wardrobes (or part) assigned to them, bathrooms (the private one is available to Room 3, while the main bathroom is shared between guests of Rooms 1 and 2. Guests have access to satellite TV in rooms 1 and 2 and in the living room, musical instruments and audiovisual and technological equipment in the house or owned by the guest, always respecting normal use and subject to verification that it does not disturb other . Games of society and various skills are available, in addition to chess, dominoes and different types of playing cards. In the garden there is a net for practicing with golf clubs (there is a set of irons available) and there is enough space to make approaches on moving targets. A welcome drink will be the best way to get to know each other and share information, interests and objectives of your stay and maybe be able to support you in those additional needs that you might have. My presence at home will be discrete and measured according to your needs. In any case I will provide you with the keys and access credentials to move, enter and exit in total autonomy. Normally I also sleep in the house, or in a free room or in other service areas normally not accessible to guests. In life I am a professional Coach and trainer, I deal mainly with human resources management and optimization of relational dynamics in the business, professional and private sectors. I studied Psychology at the University of Padua. I first studied architecture at the University of Florence for four years, then I lived for 7 years in South America (Brazil) planning and building a shipyard and sailing boats. I am a new golfer recently registered with the Italian Golf Federation. I have a sailing and motorboat license for over 12 miles for over 24 years. I have participated in national, international and ocean sailing regattas, I have experience as a skipper on sailing boats up to 18 meters. of length. I am a Federal Nordic Walking instructor (Italian School of Nordic Walking) since 2014. I attended Sommelier courses of the Italian Sommelier Association, Slow Food Tasting Courses, Cooking Classes, Courses for Tasters of Extra Virgin Olive Oil. I love cooking and have been passionate about BBQ for many years and I am available to organize cooking classes to develop your culinary skills. 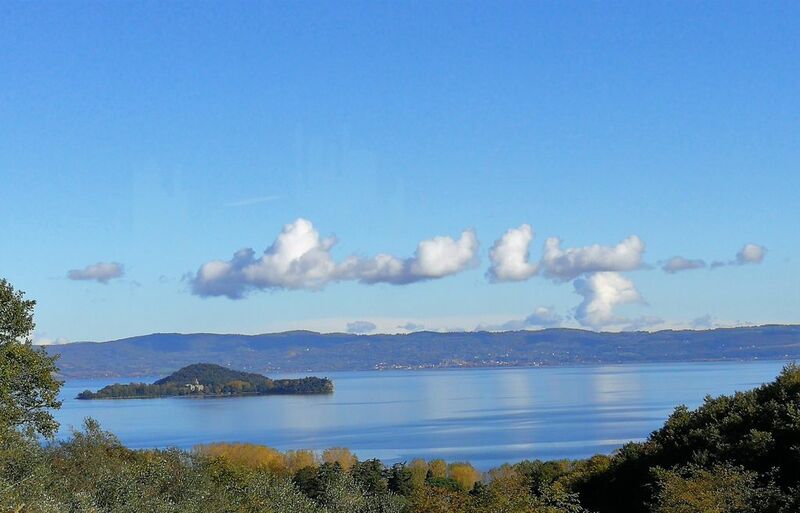 They are available to accompany you on walks or nature trails and sports, also here in Capodimonte you can rent sailboats / motorboats or canoes / kayaks for tours of the lake. You arrive at the gate of the house along a small country dirt road for only 500 meters from the main highway. Do not be intimidated by the access initially a bit narrow of the road, which after the first 100 meters. it opens and becomes more flowing. Have friends with us even with sports cars (Porsche, Ferrari, etc.) and anyway, in case you have a car with low bottom, we will take care to check the condition of the road before your arrival and to advise if there ever were problems or risks. The center of Capodimonte can also be reached on foot (2.5 km of which 500 meters of access road and 1.8 km of lakefront with cycle path and walkable) along which you can find numerous bathing establishments with sports equipment, play areas equipped for children, bars, kiosks, trattorias, pizzerias and renowned restaurants. Before the center of Capodimonte you arrive at the well organized port for small boats and cabin cruisers up to about 10 meters in length. Near the port there is a small post office, a pharmacy and various commercial and food shops. From Poggiolindo you can move on foot, by bike, by motorbike or by car.